For us, E.V. 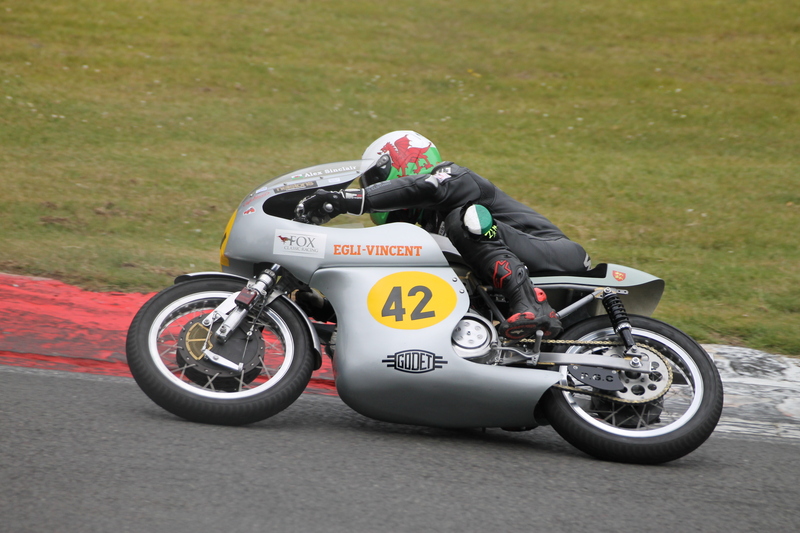 stands for "Egli-Vincent"… not "Electric Vehicles"! Patrick has completed the second machine so this will enable his team to provide a bike at the same time for each of his two pilots Bruno Leroy and Alex Sinclair, without having to do the difficult choice about who will stay home as on May 18th. 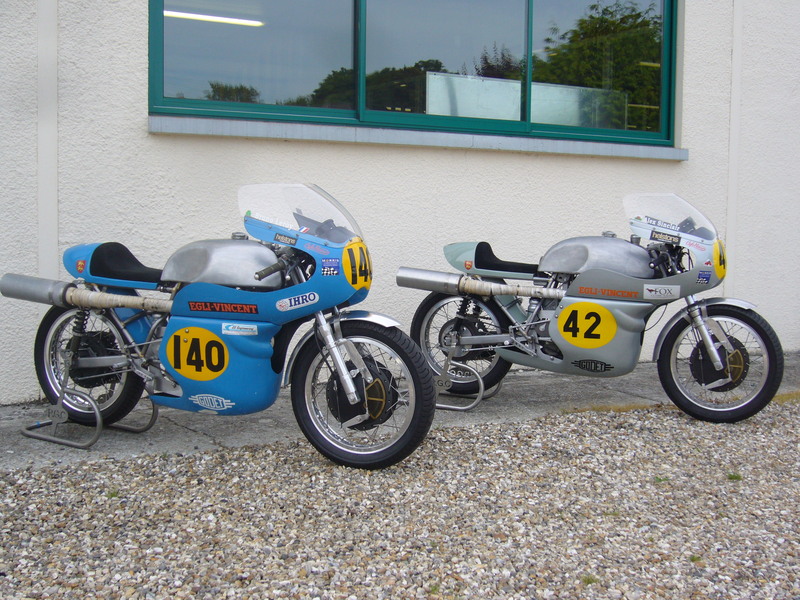 Last weekend, Bruno was racing at Spa-Francorchamps in Belgium with the “Blue” Egli while Alex was attending the Brands-Hatch with the new “Grey” machine, a meeting where Patrick was expecting to benchmark his team against the best pilots and racers. 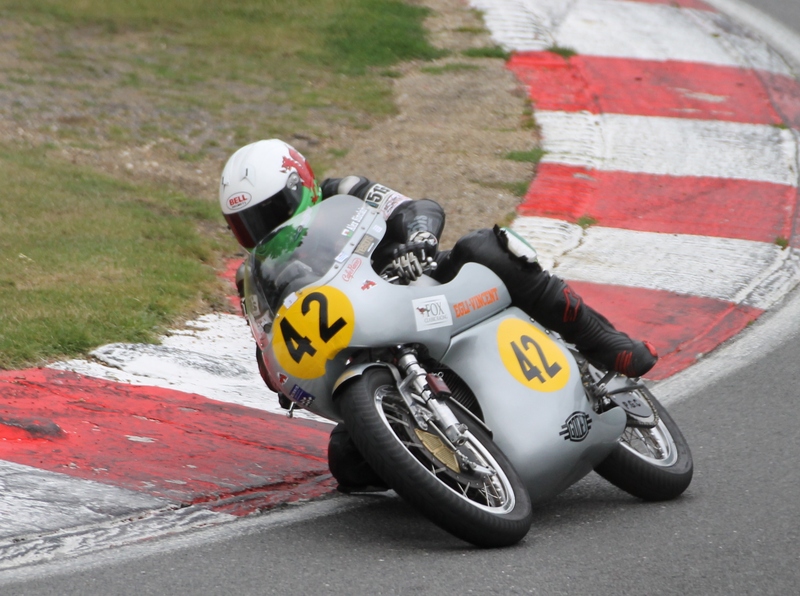 A Spa, Bruno missed the 2nd place on the podium and finished 3rd in the single cylinder class. 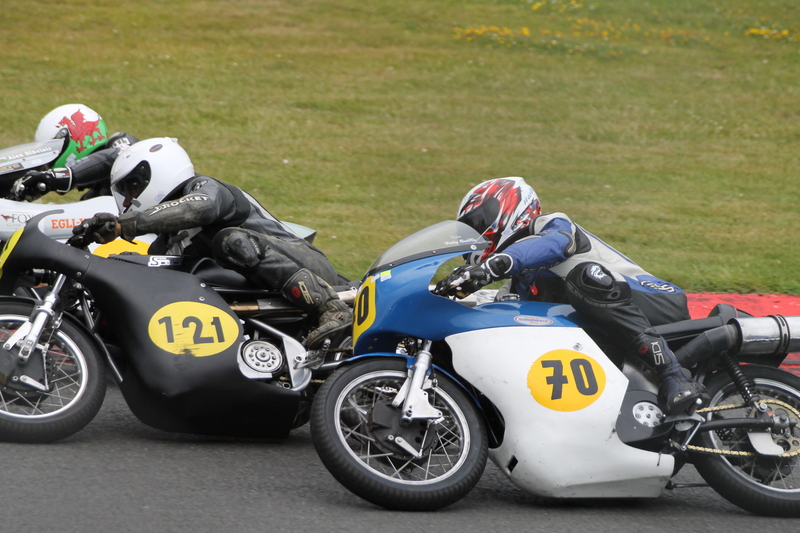 Indeed despite his years of experience in racing, Bruno over-braked and let the 2nd place flying away, but for whose who know Bruno, don’t expect him to be mad about it… this is racing! 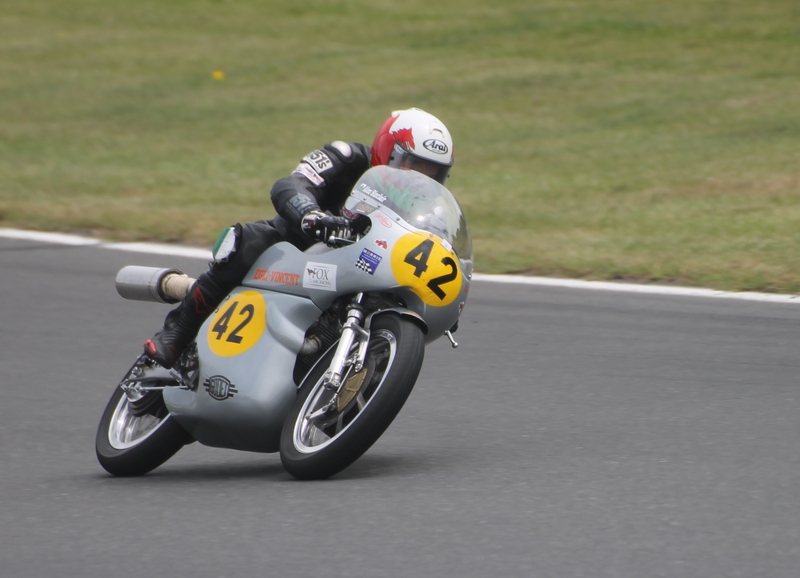 Patrick got his answer: his Egli-Vincent was among the 3 fastest machines of the weekend: First race Alex finished 3rd in front of N1 Walmsley customer machine. 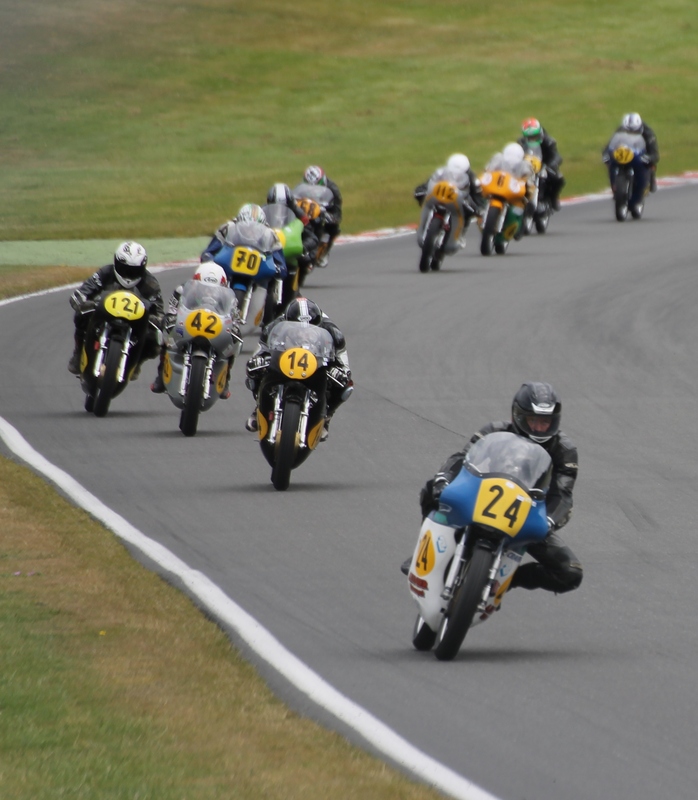 Second race, back in the paddock with a sheared primary belt, Alex had to start from last row and finished 5th. Finally in the fourth race, Alex started on the second line, but was blocked by Richard Molnar at the start, and finished, 5th. 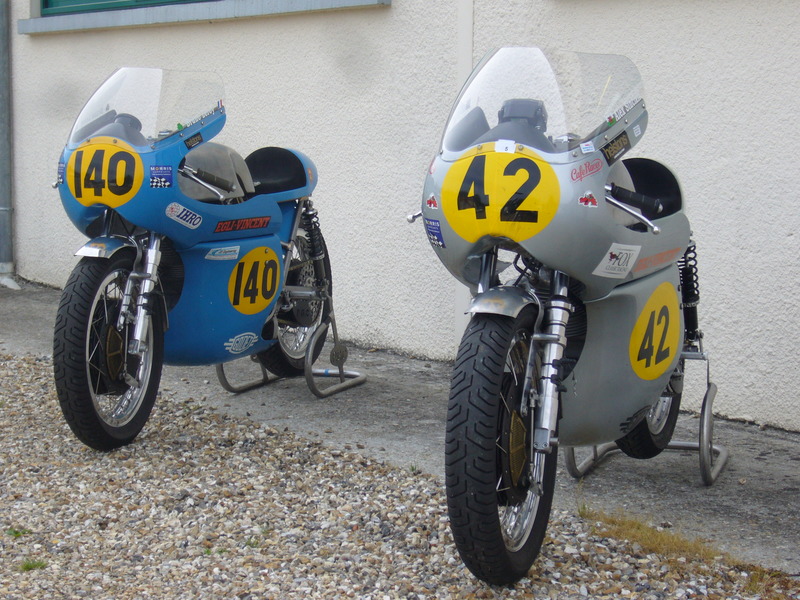 Bruno Leroy’s bike (the Blue) with Alex Sinclair’ bike (the Grey) in front of Patrick Godet’s workshop.